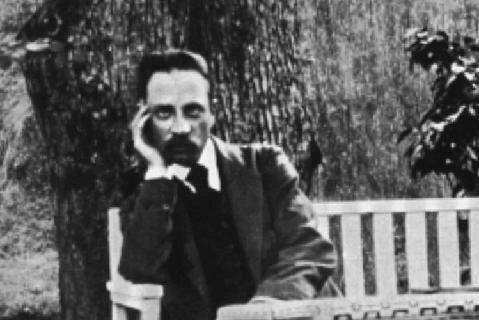 Sonnets to Orpheus - Eleven songs to words of Rilke marks a return to song writing after a gap of many years. The extent of this interval was never intended and indeed settings of these texts had been in my mind for much of this time. There was, of course, no possibility of setting all 55 of Rilke's sonnets. He penned these in the incredible span of three weeks having heard of the death of a 19 year old friend of his daughter. In them he addresses primarily not, as one might expect, the lost Eurydice of legend (her name almost never directly mentioned) but Orpheus himself; the musician, the man of insight, divine gift, and power over the natural world. This is not to say that Eurydice is really ever far from the implicit narrative, and her loss informs the various exhortations, reflections and philosophy. The cycle does not follow Rilke's order. This was primarily for musical reasons. Three successive poems of a reflective nature can work admirably in literature but less so in music. I deliberately chose a mixture: poems exulting in Orpheus's gift, the loss of his loved one, and of matters philosphical and symbolic. The fact that other composers' choices have overlapped with my own selection perhaps speaks for the more immediate "musical lyricism" of some sonnets.